Just a quick note to let you know that you can now create your own custom greeting card set by choosing from any of my designs. 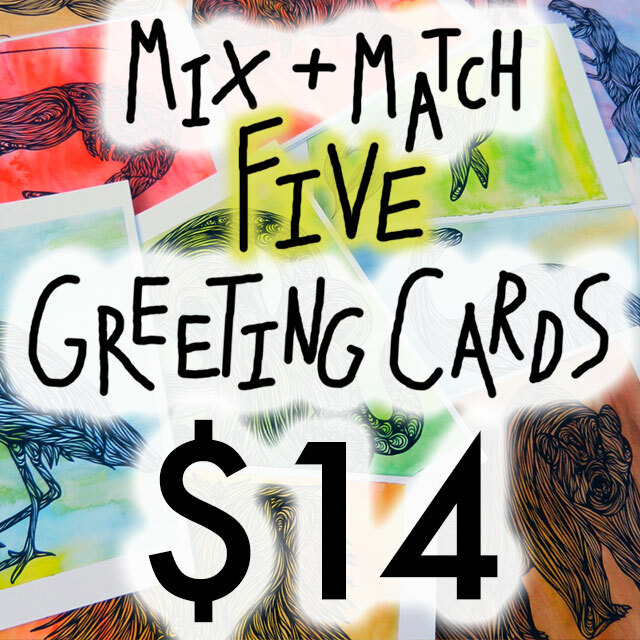 Choose any five cards for $14! It’s the same thing as buying four cards and getting one free. Five premium white envelopes are included. 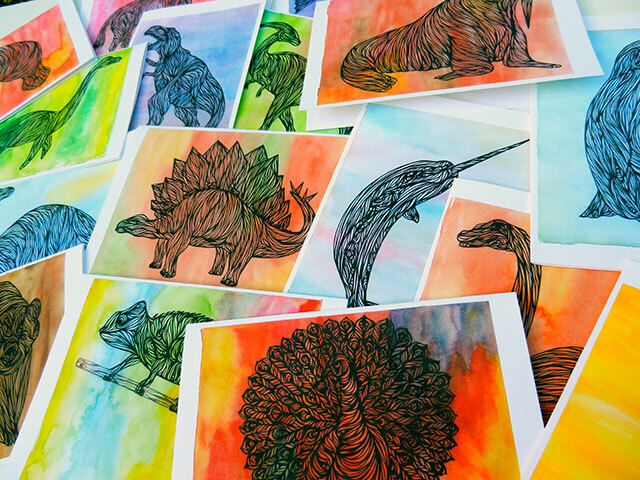 Choose from any of my swirly animals, dinosaurs – any of my designs! All of my greeting cards are listed individually in their own section of my shop here. New T-Shirts are Listed – HTMF and Champy Designs!